Melanoma is a type of skin cancer considered by medical professions to be the worst type. 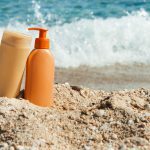 It develops deep in the cells that form skin pigment and is typically caused by overexposure to harmful UV rays such as those found in tanning beds or produced naturally by the sun. Skin biopsies are common tests done to determine if it is skin cancer. Here we examine the signs of melanoma from the early symptoms to stage 4 melanoma. Treatment of melanoma begins immediately upon detection, but recovery depends largely on early detection. In order to detect melanoma early enough for successful treatment, one has to be aware of the symptoms associated with the disease. Any unusual changes to your skin should warrant a visit to the doctor’s. If you spot new moles developing in adulthood, or existing spots that change in size and/or color, these signs are not to be ignored. Visit a health expert immediately to get a thorough examination before the condition gets more severe. These types of changes can occur just about anywhere on the surface of the skin, but are more likely to occur on areas that get more exposure to the sun- these include the face, arms, legs, neck, and back. But remember, a breakout of melanoma is not limited to these areas. In some instances –especially among people of color- spots have been observed to appear on the palms of the hands, underneath the fingernails, and on the bottom of feet. Stage 4 melanoma is the most advanced stage of melanoma, at this point the cancer has reached the lymph nodes, organs, and the rest of the body. Often this makes is difficult or near impossible to cure with surgery or different types of therapy. At this point, the signs and symptoms vary drastically between affected individuals. Common symptoms include ulceration or skin breakage due to the tumor, or the skin “matting” or joining together especially by the lymph nodes. 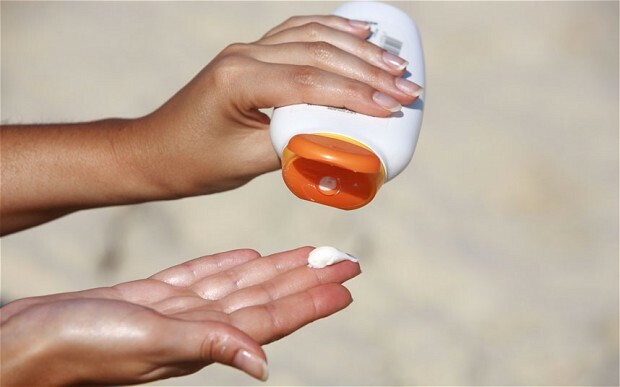 The good news is, not all spots on the skin indicate the possibility of melanoma. 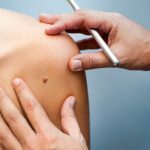 As a matter of fact, most of these spots are benign, and would only indicate a serious problem if they appeared to pass the ABCDE test set by medical experts to distinguish between cancerous moles and other harmless blemishes. Asymmetry: A mole may be considered cancerous if its shape is not symmetrical. Admittedly, the average mole won’t have sides that are perfectly identical to each other, but in the case of melanoma, the mole will be particularly asymmetrical. 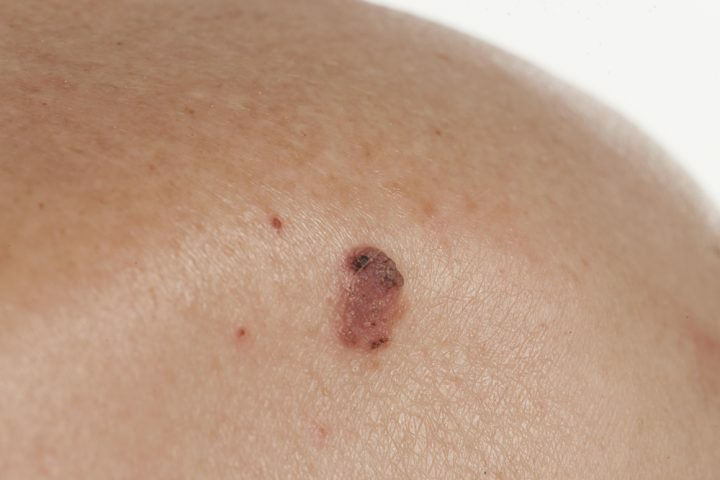 Border: Melanomas tend to have un-defined borders, which can manifest itself in different ways. For instance a melanoma may form a jagged edge as opposed to a smoother, round appearance. In addition, it might be difficult to determine where the edge of the mole ends and where normal skin begins. Color: Mole color tends to vary widely: there is no single shade that puts you at higher risk of melanoma. A harmless mole may be any shade of brown or black- but in cases where a mole has multiple colors, such as a combination of brown and black, it may indicate melanoma. Diameter: The average melanoma measures 6 mm in diameter- about the size of a pencil eraser. But this is not to say that smaller breakouts haven’t been diagnosed, but generally, melanomas tend to be on the larger side. Evolving: Moles that appear to develop over time are a major warning sign. These types of moles might change shape, color, or size. Even if a mole appears to be shrinking, it is advisable to have it examined by a health expert. There are a few other – less common – symptoms to watch out for. Moles that itch, bleed spontaneously, or are sensitive to touch, or bruises that take long to heal, may in fact be melanoma. But these symptoms usually appear in conjunction with the other ones mentioned above. So basically, a regular-looking mole that itches is not necessarily cause for concern as one that itches and also looks a certain way.